Talent acquisition has changed… forever. The days of throwing up a job post and hoping for the best candidate to magically find you are gone. We can no longer “post and pray”. It is and will continue to be a candidate driven market and how you build relationships and communicate with candidates requires a strategic, data-centric and technological approach. 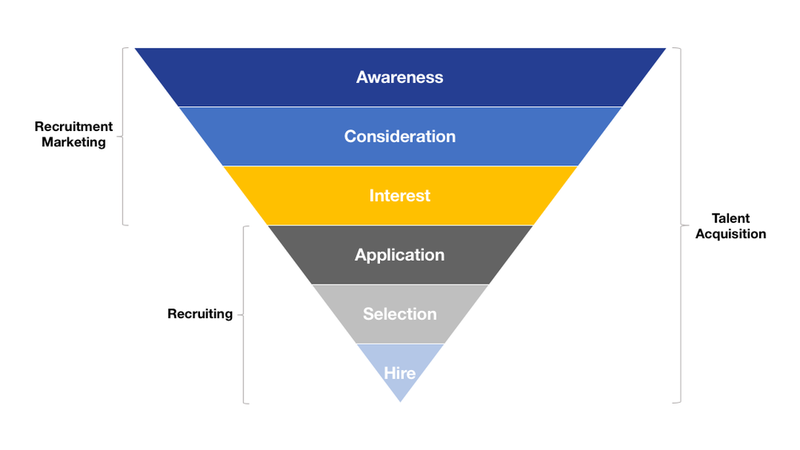 A new paradigm has taken center stage… recruitment marketing. Deeply routed in the core marketing principles of branding, content and lead generation, recruitment marketing has transformed how companies build their talent brand, attract and retain talent. The Vertucci Group combines several centers of excellence. With extensive backgrounds in talent and employer branding, recruiting, talent acquisition, career services, digital marketing and consumer branding, The Vertucci Group has combined these unique disciplines into a potent and data-driven strategic planning consultancy to help companies attract, find, hire and retain top talent. Thank you for contacting The Vertucci Group! We look forward to discussing your business goals.